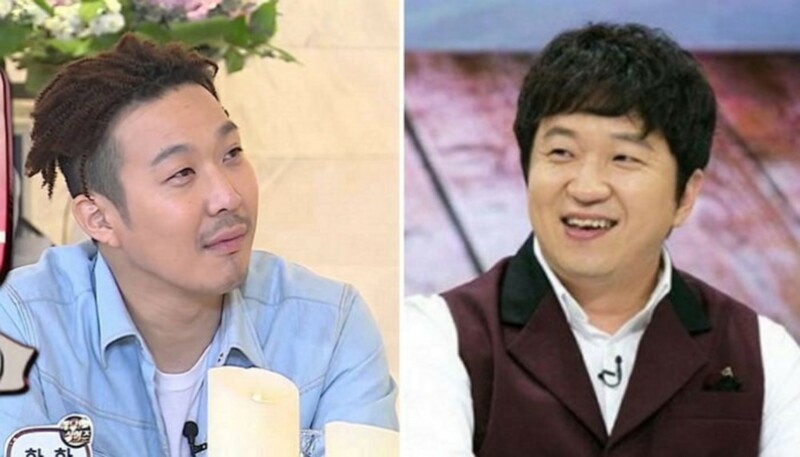 HaHa revealed he feels awkward around former 'Infinity Challenge' castmate Jung Hyung Don. The April 7th installment featured a 'Legends' special, where they came together to discuss the show. PD Kim Tae Ho�expressed the New Zealand special of 'Infinity Challenge' made it the real variety show to watch when HaHa and Jung Hyung Don's awkward relationship became a topic. As previously reported, the current 6 members -�Yoo Jae Suk,�Park Myung Soo,�Jung Jun Ha,�HaHa,�Jo Se Ho, and�Yang Se Hyung�- will be featuring in the 'Legends' special, which goes on for 2 more weeks.